The project was commissioned by Jovis - a famous producer of liqueurs - to raise its profile in the market. The client wanted a final product capable of conveying a message of innovation and taste. Hence the solution: a new bottle made of an innovative material. 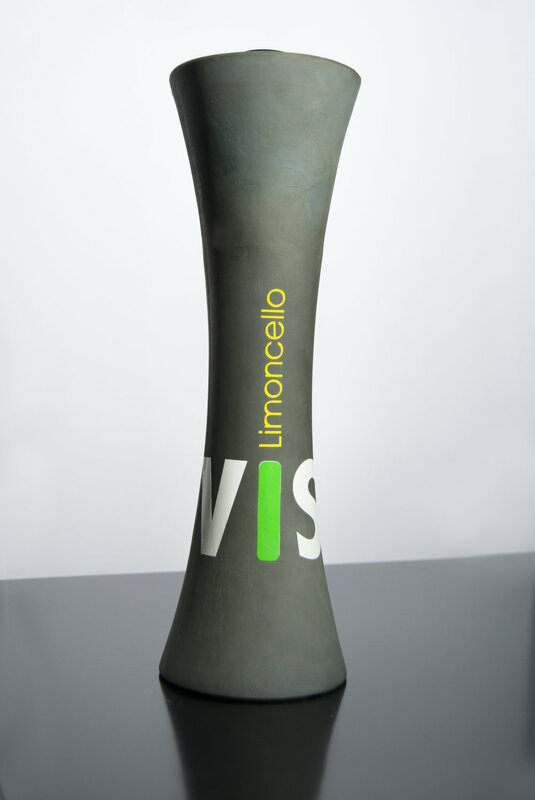 This was achieved by drawing on the unusual thermal characteristics of Vulcocer (a type of ceramic composed of pulverized lava/patent n.VL745), which keeps the content at a constant temperature. Limoncello is a lemon liqueur mainly produced in southern Italy in the volcanic area of the Bay of Naples, the Sorrentine Peninsula and the Amalfi coast. It is made from the zest of lemons, known as Sorrento lemons and is served chilled as digestif. The design of this product combined intelligence, attention to detail, style, strength and history all linked to the origin of this liqueur.